Yesterday was the first day of spring, the spring equinox. It is a time of year that signifies new beginnings and for many of us it is a time for out with the old and in with the new. For many it is a time for spring cleaning. In our house it is not about cleaning with mops and brooms but rather clearing out closets, drawers, garages of unwanted, unused and unnecessary possessions. Rather than seeing this as a chore, I see it as an opportunity to pass things along to someone who can enjoy them or a good cause that may need them. When we moved a few years ago I read Marie Kondo’s book, The Magic Art of Tiding. In the book she asked you to ask yourself three questions: Do I love it? Do I need it? Does this item bring me joy? I must admit that it does help the clean out process. More than that is knowing that someone else will get joy out of something you longer need. Once you have gone through your items where do you take them? The answer is it depends on what the items are. When we came across all of our son’s lacrosse gear from the local team, we reached out to his old team and asked if we could donate it to them. They were thrilled to be able to pass it along to a child that needed equipment. In Los Angeles, we have a nonprofit called LA Shares that is a nonprofit reuse program. 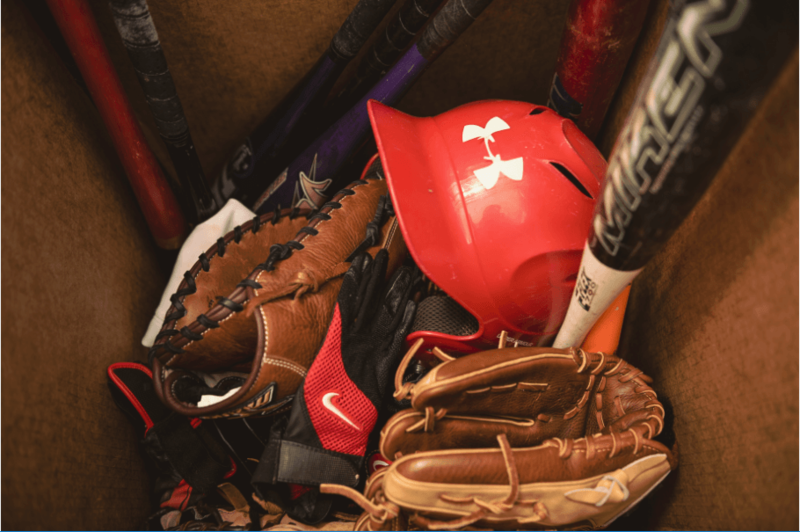 LA Shares takes new or used items such as sports equipment, office furniture (not clothing) even paper products and then redistributes these items free of charge to other nonprofits and schools in the City of Los Angeles. For books, we gave them to local libraries and often time your local school will take books as well. If you an avid reader and have more books than you know what to do with the website Becoming Minimalist has a great list here with twenty suggestions of organizations around the country that will take your books. For furniture there are a number of organizations that will pick up and take furniture. A few of them are; Vietnam Veterans of America, Out of the Closet which supports AIDS related causes and Donation Town which is a nonprofit that helps other nonprofits. Lastly, the closet one of the hardest and most time consuming spring cleaning projects ever. Where to take the clothes? If they are high end items you can visit LuxAnthropy for resale with a portion going to your favorite cause. Out of the Closet takes clothes. Personally after reading this Huffington Post article about the Goodwill and where the clothes you donate go, I try to avoid that option. My personal choice is to donate clothing, house hold items, etc to The St. Vincent de Paul Society and they pick up! SVDPS also called the Society provides those in need to become self sufficient by providing emotional and financial support, food, clothing, furniture and housing because of donations both financial and household. Many of the household items are passed on directly to someone in need. So as you begin your spring cleaning think of it as a win/win. You get to eliminate items you no longer need and help someone else in the process….which will definitely put a spring in your step! Copyright © 2019 Charity Matters. This article may not be reproduced without explicit written permission; if you are not reading this in your newsreader, the site you are viewing is illegally infringing our copyright. We would be grateful if you contact us.